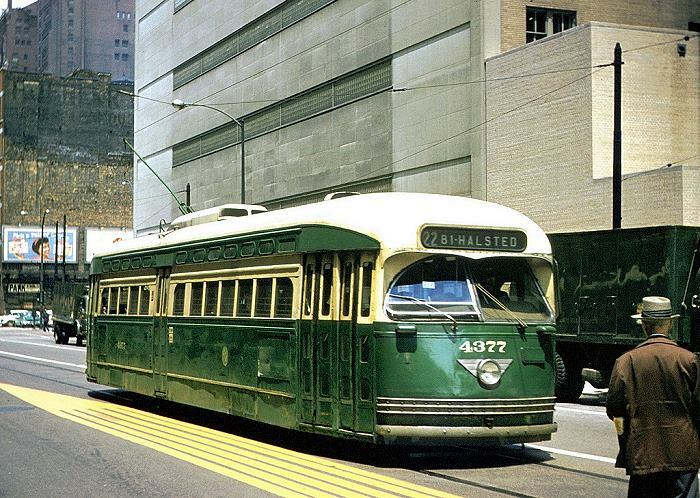 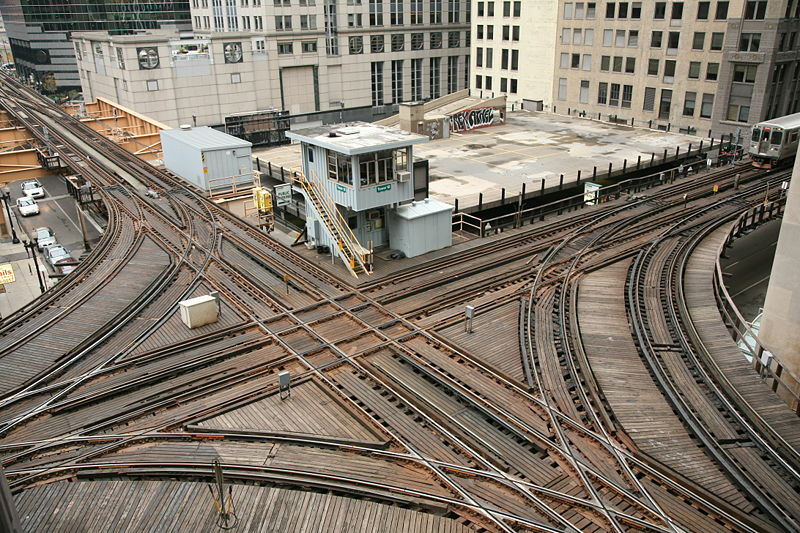 The Chicago streetcar system on its last legs: only the Clark-Wentworth line is left. 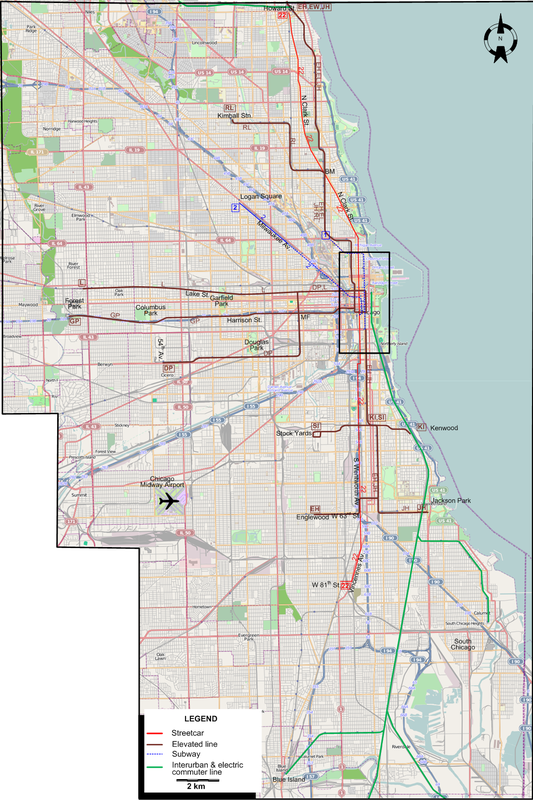 The map shows the situation on the day after the complete discontinuation of service on the Chicago Aurora & Elgin Railroad (CA&E). 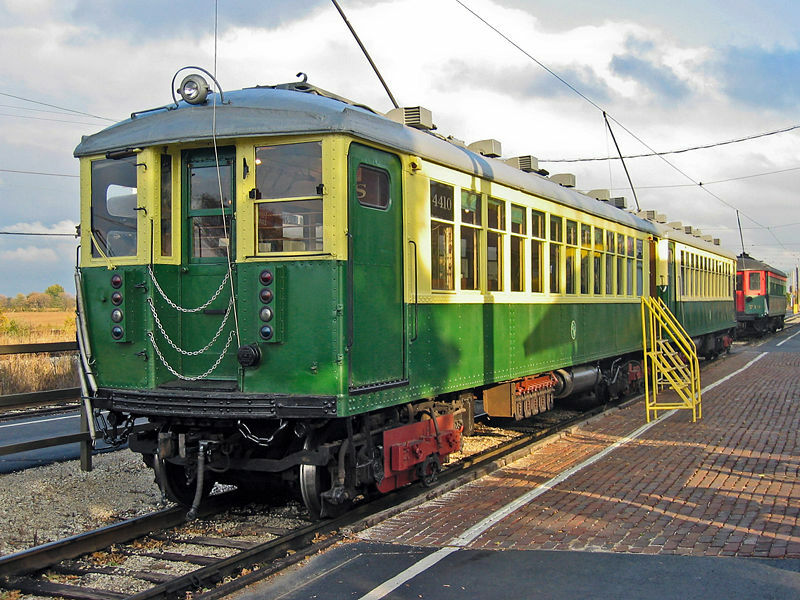 1957 July 3: : All service on Chicago Aurora & Elgin Railroad (CA&E). 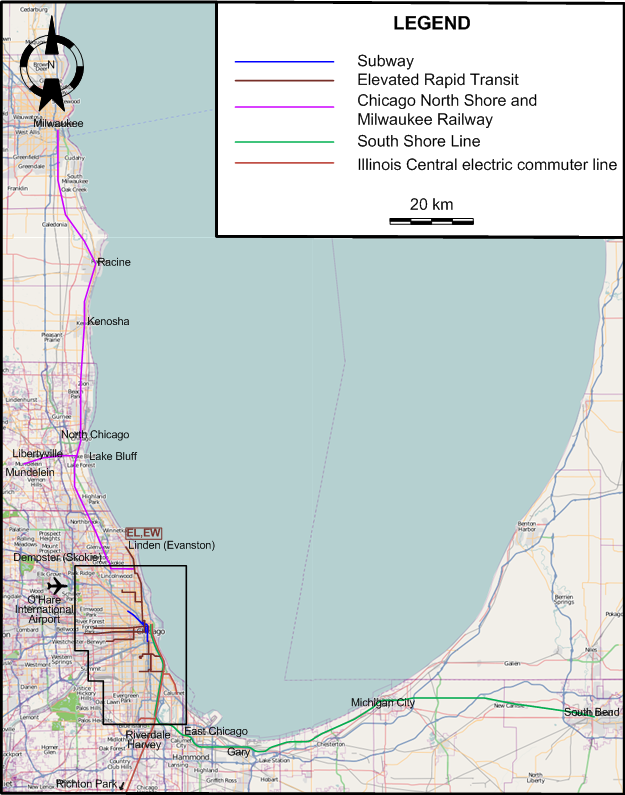 Chicago North Shore and Milwaukee Railway: 140 km.